Geocomposite Geotextile Stitched With Geogrid is the geocomposite which comprising a high-strength, low-strain reinforcement grid with extra aperture size and a flexible nonwoven fabric bonded to the upper face.The polyester yarns(glass roving) with high tensile strength and low creep performs the function of reinforcement and the nonwoven performs the functions of separation, filtration and drainage. 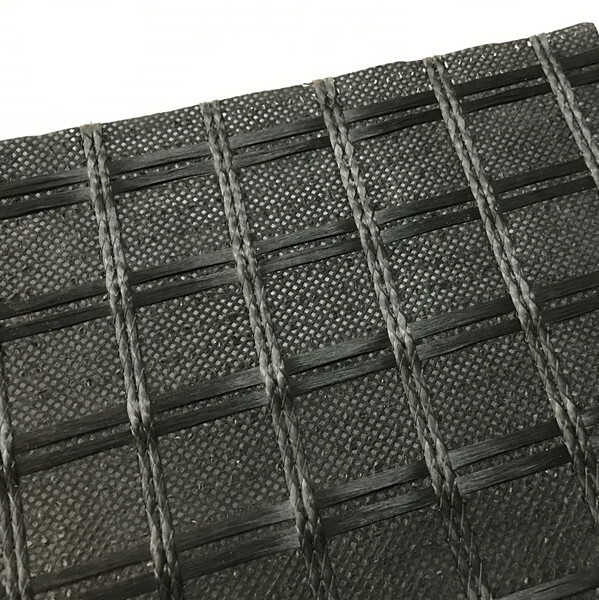 Looking for ideal Geocomposite Geotextile Geogrid Manufacturer & supplier ? We have a wide selection at great prices to help you get creative. All the Geotextile Stitched With Geogrid are quality guaranteed. We are China Origin Factory of Geogrid Geocomposite Geotextile. If you have any question, please feel free to contact us.